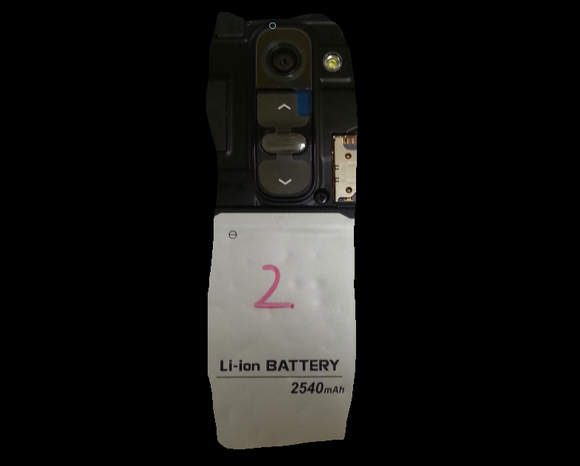 One of the features that many smartphone users crave for is a removable battery. With the ability to swap batteries, someone could always have a spare battery with them, making sure that their phone is never without charge. According to a new leaked image that has surfaced on the web, the LG G2 could feature such a thing, while its size has also been noted at 2,540mAh. Not a bad size at all. We have seen the outsides of the G2 pictured and even filmed, but seeing a close up of its “interior” is something we have yet to see. This shot gives us a decent look at the back-facing volume and power buttons, while also giving us a peak at the device’s battery. It’s an interesting shot that has been cropped weirdly, but it gives us an idea nevertheless. Does the ability to remove the G2’s battery make it a bit more desirable for you?